Amy was recently awarded a full tuition scholarship to attend the 2014 New York University (NYU) and the American Society of Composers, Authors and Publishers (ASCAP) Film Scoring Workshop in New York City. 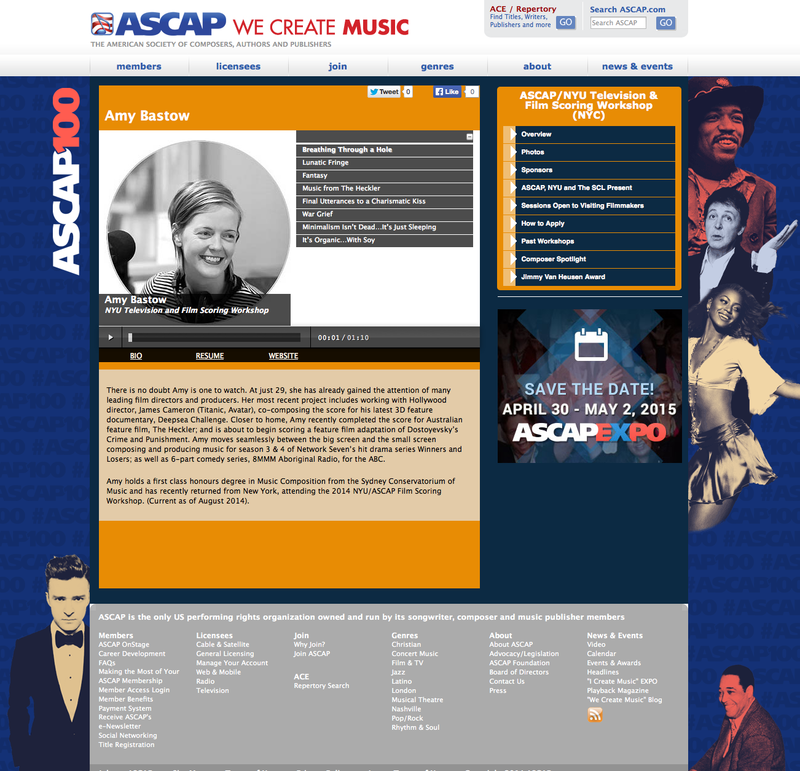 Upon returning home to Australia, ASCAP named Amy as one of their “Composers to Watch” and added Amy to their “Composer Spotlight” website. Winners and Losers Season Finale Goes Off Like a Barn Fire! The Season Finale of Winners and Losers aired on Tuesday the 23rd of September 2014 and left us all hanging with the question: “Does Luke survive”? Check out the little interview Mel (Sophie) did on The Morning Show, just ahead of the season finale going to air. Thanks Larry Emdur for your excitement about “the swell of the music”! Made my day.